We work in accordance with all fire safety regulations and carry out top class installations to their exacting standards. The regular inspections we conduct ensure that your fire alarms are always working perfectly – granting you complete peace of mind. Free Site Survey – Global Detection Systems Ltd offer free surveys for your minimum and optimum needs whether this be a single extinguisher or an integrated alarm and detection system. Surveys are undertaken without any obligation on your part and in consultation with yourselves for your specific needs. We will also provide free quotations for your options. Design – Following a survey if your need an electrical based system for lighting or detection our in-house planning and design team will produce a work schedule to fit around your business. Installation – For Alarm and Detection Systems we use a dedicated workforce including one prime subcontractor, who has worked with us for many years, should we require additional manpower. We will keep inconvenience to you down to a minimum and if necessary work out of hours. Planned Maintenance – For Alarm, Detection and Nurse Call Systems we will agree with you from the onset a maintenance schedule dependent on the equipment and use. 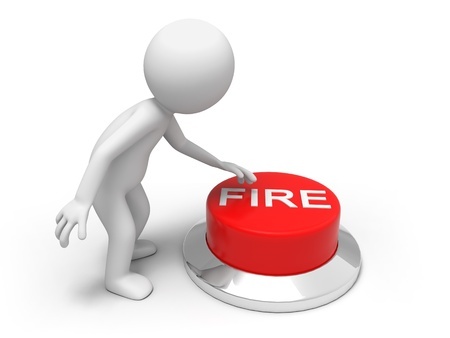 Fire Alarm systems themselves require maintenance at least twice per year under Health and Safety regulations. We can manage your systems for you in order that you discharge your responsibilities correctly. 24 Hour Callout – The company provides a 24 hour comprehensive call out service guaranteeing a response within two hours from receipt of call 24 hours a day 365(6) days a year. All of our Alarm Engineers are fully qualified to the highest standard and experienced in all types of fire prevention measures.